Big Boi continues to ride out last year’s Vicious Lies And Dangerous Rumors with a video for album cut “The Thickets” featuring his “The Way You Move”-collaborator Sleepy Brown. 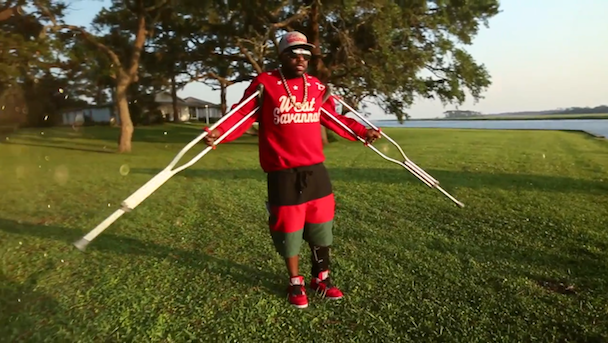 The video is a bit of a head-scratcher, featuring Big Boi trudging through crab-fishing country on crutches while Sleepy (who has a few sporadic crutch scenes, too) croons the hook in front of an awesomely cheesy fireworks backdrop. Check it out below. Vicious Lies And Dangerous Rumors is out now via Def Jam.